Walao eh! Where have I been? Namewee has come up with a movie! It's his directorial debut and it's called Nasi Lemak 2.0 or rather cheekily, 辣死你媽! I'm glad he's chosen a food theme, and a chef role too. I also love how the movie is so multi-lingual - it's very Malaysian, how we switch from various languages and dialects. Well, it happens in Singapore too, but maybe not as fervently. 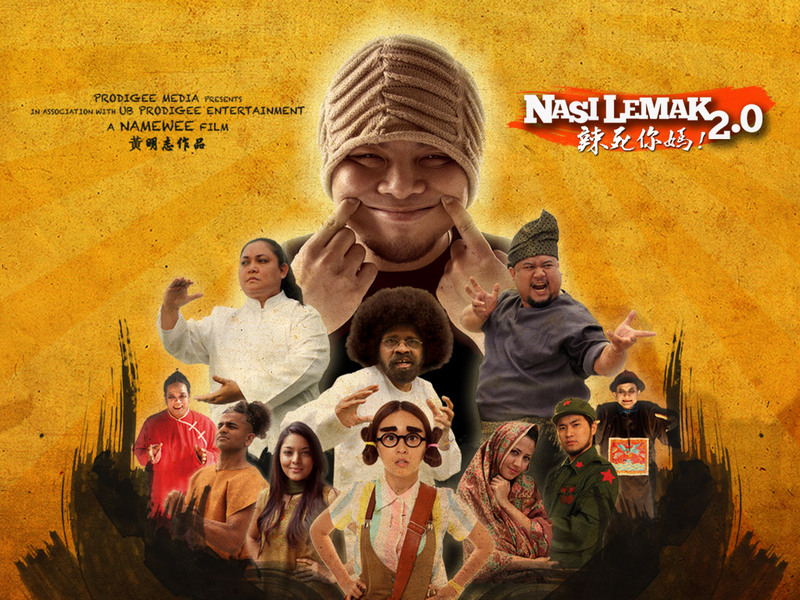 Namewee's made a name being controversial with his own songs and videos, aptly injecting strong language to put across his passionate views on social issues. I'm usually never for rough language, but he uses it well. And he's a bloody good songwriter! This Muar boy has certainly touched a chord in the hearts of many. Catch him if you can, on the rest of his Malaysia tour. Ah I really hope the movie comes to Singapore! This makes me want to visit Malaysia just to watch this.